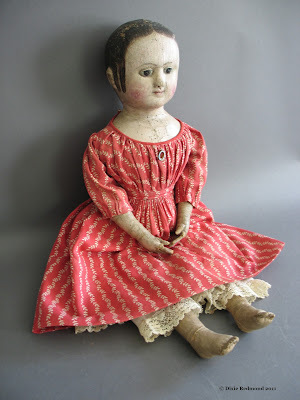 R. John and Susan Wright have offered this beautiful antique Izannah Walker doll for sale (it is now sold). 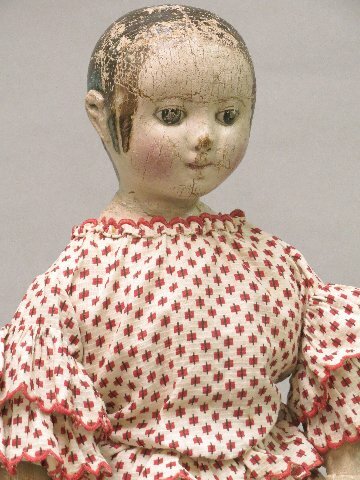 This doll was formerly in the collection of Maureen Popp and was pictured in John Darcy Noble’s book “A Treasury of Beautiful Dolls”. The Wright's have owned her for some 30 years. 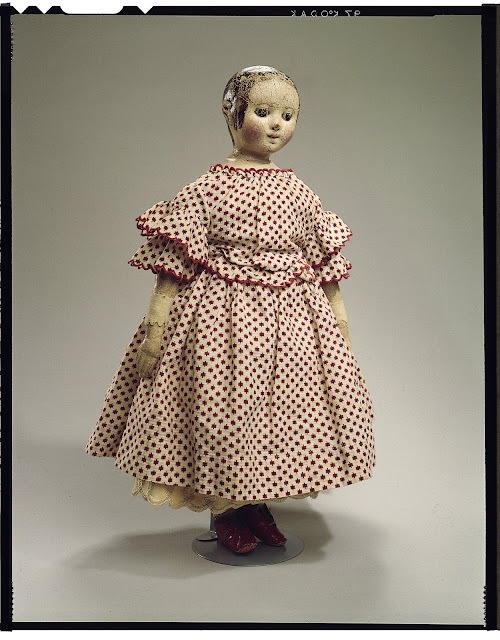 The Wright's doll is very similar to the wonderful Ella doll, which can be seen here. Ella has a provenance dating her to 1857. 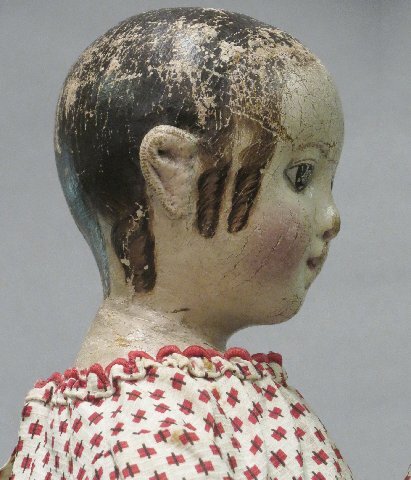 The Wright's doll is very similar in body shape and construction of the head to Ella. Dixie's NOTE: Any purchase agreement or statement of condition or terms is strictly between the Wrights and the buyer. 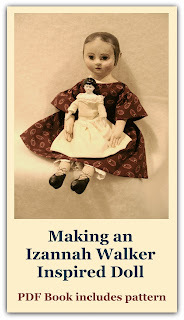 Dixie Redmond and/or the Izannah Walker Chronicles are not part of the transaction in any way, and receives no compensation for featuring dolls on this blog. All I can say is OMG! This is a pretty doll. I love the Izannah's that have the softer face sculpt.